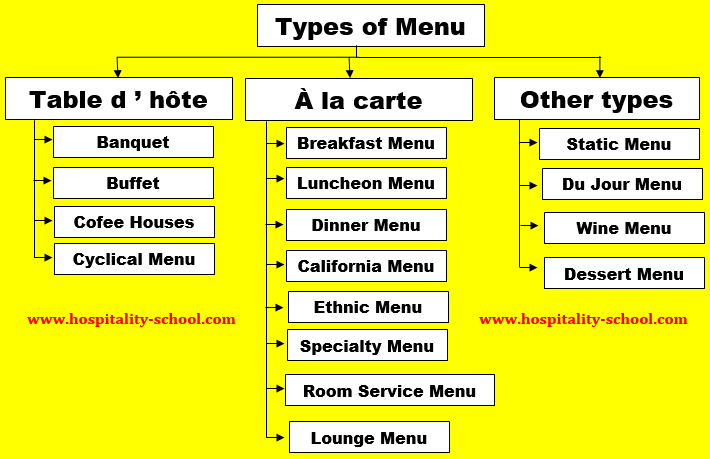 A menu is a presentation of detailed lists of food items that are served in restaurant or hotel. A menu in any food service organization is considered as the most important planning control tool to run a food service operation. If a menu is developed with appropriate planning following food trend and featuring best possible options for the food lovers then the menu can contribute in all sectors of hotel. A well planned menu also can ensure proper utilization of hotel resources (ex-food, labor, equipment, and facilities). Click HERE to get our Food & Beverage Service Training Manual with 225 SOP. Click HERE to get all available premium training guide and power point presentations for hoteliers and hospitality or hotel management students. Click HERE to get special discounts on all our products and resources. A menu usually varies in respective to any business’s particular mission and food service nature. But whatever the type of food service establishments, every menu must be formed with careful planning and implementation of those planning in order to meet the guests’ needs and to achieve competitive advantage within the budgetary restrictions of the food service operation. Here all types of menus are discussed that are served in any food service operation. Table d’ hôte is a French word which means food from the hosts’ table. A table d’ hôte menu offers a complete meal at a fixed price for the guests no matter how much food has been consumed. This menu can include appetizers, soups and salads, entr´ees, and desserts. Table d’ hôte menu always ensureS minimum wastage of food and easy food operation. This menu presents a selection of small number of courses. Presenting restricted choice within each course. All the dishes offered from the menu have to be prepared at a set time. A fixed selling price which always provides the assurance of quality of food. Easy to produce and popular food items are generally offered by this menu. Due to limited number of dishes less Mise – en – place and labour are to be needed. Table d ’hôte menus can be offered for breakfast, lunch and dinners. Less kitchen space and service equipment are required. A banquet menu offers a selection of fixed items given at a set price. However, in some special occasions the food can be served according to guest’s preference. Buffet menu can be categorized as a form of table d ’ hôte menu due to limited offerings of food items at predetermined set price. The dishes presented in the buffet menu are available at a set time. However the food items in Buffet menu usually vary depending on the occasion and the operational cost. Coffee house menu is a set menu which offers food often for twelve to eighteen hours of the day. The dishes in this type of menu are individually priced. Coffee house menu often offers a limited choice of food (ex-snacks, light meals, lunch or dinner) and which usually requireS little preparation time and quick to cook. A simplified form of service is basically offered by the coffee house menu, for example plate service, counter service, etc. Cyclical menu offers specific food items which repeat in cycle for a set period (normally 7, 10, 14, or 28 days). This menu refers several menus that are offered in rotation. Cyclic menu is basically offered in four-cycle for a whole year. After the completion of the cycle, a new set of menu is introduced on the basis of seasonal availability of dishes. Apart from these practices of table d’ hôte menu, this menu is also used for Guest House, Flight catering, Institutional catering, Welfare catering, Combo Meals and Thali Meals. This menu is broader menu than a table d ’ hôte menu since more Mise – en – place is required to be done to prepare food from the À la carte menu. À la carte menu offers wide choice in food and beverages within each course and in categories. Every item in this menu comes with a short narration underneath to explain the dish. Food items from the `A la carte menu are prepared after the order has been taken hence always fresh foods are served. Each dish has a particular preparation time. Dishes are more expensive than the food items of table d ’ hôte menu and needs more space and kitchen utensils. Usually offer colourful and high cost seasonal foods. All entrees, dishes, salads, and desserts are ordered separately. This menu is offered in all types of food and beverage establishments except banquets, flight catering, institutional catering and welfare catering. Almost all breakfast menus are developed comprising both à la carte and semi à la carte segments. The à la carte segment in the breakfast menu offers juices, fruits, cereals, eggs, meats, pancakes, French toasts, waffles, bakery goods, side dishes, and beverages. And the semi à la carte segment offers an extensive variety of combinations of food. Though in some high-end restaurants and large hotels, the prices of breakfast items could be costly, but generally the breakfast menu offers food at reasonable price. Most of the breakfast items offered by the breakfast menu are prepared after the order has been taken. The breakfast menu always requires skilled chefs since the foods are to be cooked quickly. American Service is mainly followed for Breakfast service where waiter/waitress takes the order and serves it to the guest table. The Luncheon menu basically offers daily specials of any food service organization. The food items in the luncheon menu are served in smaller portion. The prices of food offered by the luncheon menu often varied according to the type of food and food operation, and the location of the food service organization. The items in the luncheon menu always require a professionally equipped kitchen since various food processing method are followed for the Luncheon items, such as: baking, grilling, broiling, frying and so on. A DINNER menu presents both à la carte and semi à la carte items. A dinner menu offers more appetizers and entrées than a luncheon menu. American, French, or Russian service is followed while offering dinner menus. California menu is used only in the California restaurants where food items are available regardless of the time of the day whether it is breakfast or lunch or dinner. California menu can be offered as separate menu for each meal, such as, breakfast, lunch, dinner. Ethnic menu can be semi à la carte or à la carte. An ethnic menu offers food items that are representative of the particular cuisine from a particular region or country. The food price can be ranged from moderate to high. A SPECIALTY menu is a amalgamation of both à la carte and semi à la carte items. The menu follows à la carte, semi à la carte, or prix fixe style. Guests usually ordered items from the room service menu through guest room telephone. The items listed on the room service menu can be more expensive than that of original menu. Food items offered from room service menu must be maintained proper hot and cold holding qualities. A LOUNGE menu is offered either in à la carte or semi à la carte style. Lounge menus are generally served in hotels, inns, and spas where customers can order selective item that require easy preparation and less costly in the dining room. Static menus are widely used menus offered by those restaurants those offer same dishes all year long. Fast-food restaurants and diners usually offer static menus and separate the menu items into groups such as appetizers, soups and salads, entrees, desserts, etc. This menu is extensively named as a plat du jour or ‘specialty of the house’ section. This menu usually offers one dish for the particular day which is prepared and changed daily. 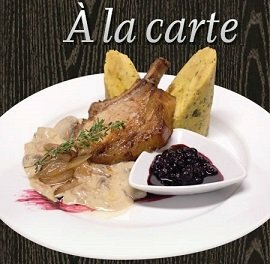 The food item offered by this menu mainly prepared on the basis of seasonal items and combination of both à la carte and table d’hôte menus. Du Jour Menu is also known as “chalkboard menus” because day’s special often written on chalkboards. The wine menu is developed only with the extensive selection of wines. The wine menu offers a variety of types and selections of wines ranging from low to high. A wine menu generally includes the details description of wine, for example: the name, country of origin, the year of the vintage, its price, and the bin number. This menu also can describe the style, taste, flavor, and the names of food that are paired with any particular wine. Dessert menus offer particular list of dessert that are offered by any establishment. The dessert tray or a dessert cart presentation also can be used along with the dessert menu. It helps the guests to choose restaurant’s signature desserts. Dessert menus are typically served if dessert items are quite pricey. Some dessert menus also offer a list of special coffees, teas, and after-dinner drinks. Coffee or tea suggestions also can be offered separately. Dear readers, we have prepared a video tutorial on this topic: What is Menu: Definition and Types. This free Hotel & restaurant managment training video will give you a very good overview of the topic. Please play the video or click on the above link to watch the video on YouTube. I need help on different types of breakfast. 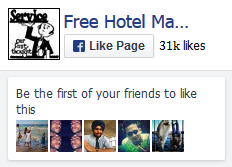 Thanks a lot, Its very important for all Hotelier.